Used 2016 Maserati Ghibli S Q4 for Sale in Denver CO 80220 Weisco Motorcars, LTD.
2016 Maserati Ghibli S Q4 hard to find color combo of Grigio Maratea Metallescent over Cuoio leather. This Ghibli S Q4 had an MRSP of $84,845 with upgrades like: Sport pack 20" Blacked out wheels, Red painted brake calipers, Metallescent paint, and all-season 20" tires. Has the 404HP twin turbo 3.0L V-6 with intelligent all wheel drive and a 8-speed automatic transmission. The body and paint on this Maserati are like new still with no chips in the paint and not one door dent. The inside is also very clean and free for any wear plus has not been smoked in. We did get both keys and the owners manuals with this car and is ready for the new owner to have fun with. 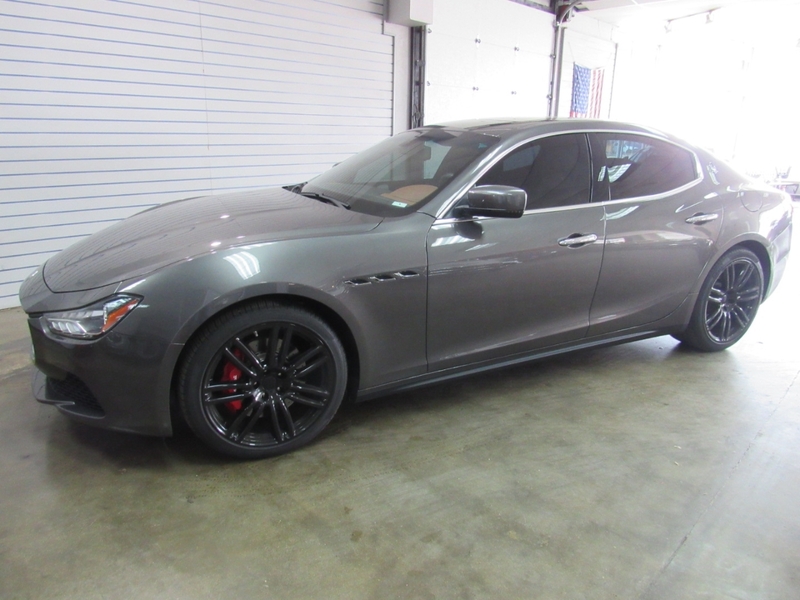 Call Weisco Motorcars for more info or to set up a time to stop by for a look over this Maserati Ghibli S Q4.